Lit from Within: Ruby White Tips.. and Bats? And Bill? Ruby White Tips.. and Bats? And Bill? 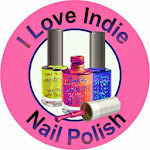 The first polish I fell in love with when I visited Ruby White Tips was Poppy. Isn't is a gorgeous scattered holo? I love these pink/coral colors. Poppy is named after the 'covergirl' bat at Batworld Sanctuary. So, I decided to look at her page. And I fell in love with her story, too. A gentle giant among the other bats, she is timid. Forced to do tricks and keep unnatural hours at her previous home, she acted out by biting. Now, she enjoys toys and bits of melon, and the company of other bats at the sanctuary. As much as I like the polish, I think it's only made better by her story. 50% of the proceeds of this polish go back to Batworld to support Poppy. 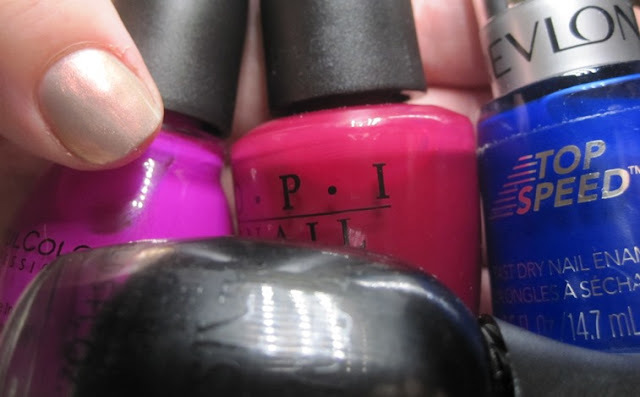 There are other polishes in the collection, all of which give 50% back to the sanctuary. Another collection from Ruby White Tips is the Kill Bill Collection. I saw all the movies, about a million years ago. 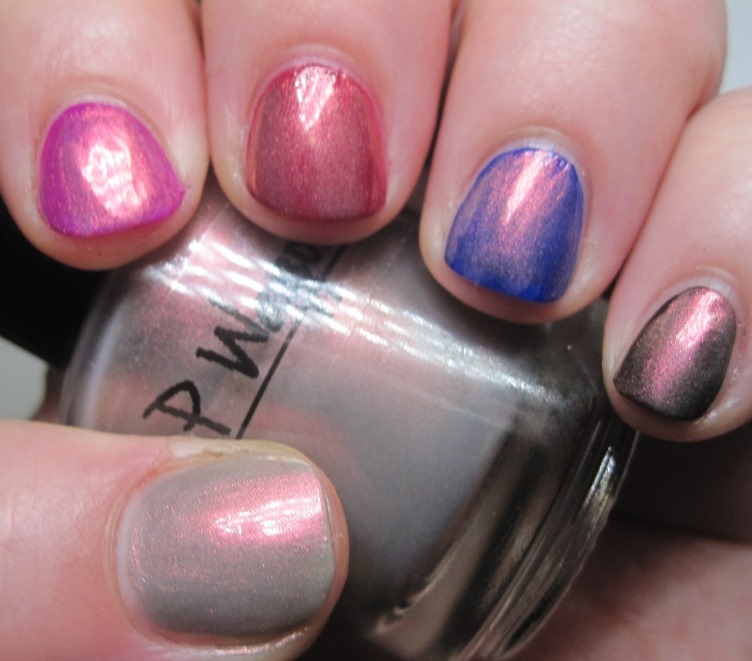 The name P. Wagon didn't mean anything to me, but I loved the color and the effect as a topcoat. On my thumb is 2 coats of P. Wagon on its own. 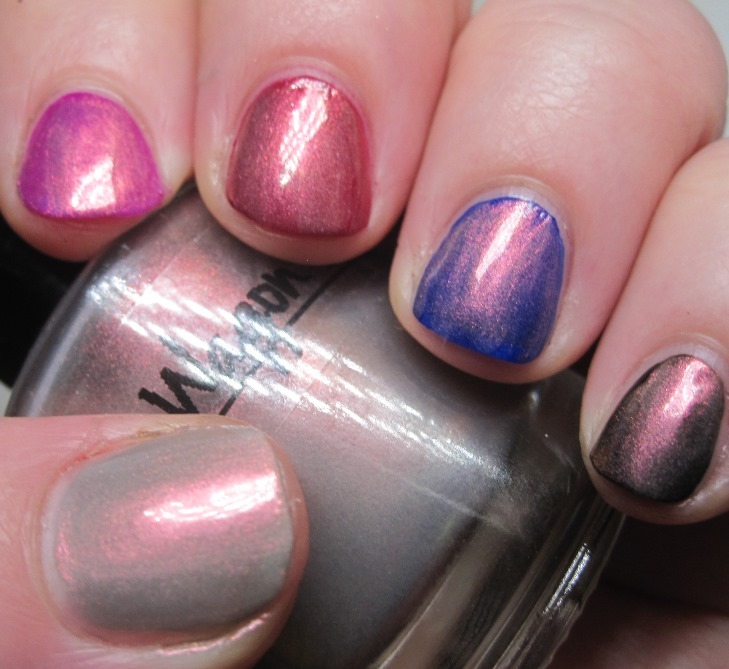 On my index finger is Sinful Colors Dream On, a matte neon pink; Middle is OPI Manicurist of Seville, a blue-toned red; Ring is Revlon Royal, a jelly cobalt blue, and the pinky is Finger Paints Black Expressionism, a black creme. Here they are again, with 2 more coats of P. Wagon. Revlon Royal is usually my fave undies for almost anything, but I think the red OPI is actually better with P. Wagon! They're all so pretty, though. I took the same undies and re-painted as a base for Ruby White Tips Hartnett. I am such a sucker for a flaky topcoat! It doesn't do much over P. Wagon, but I like the different effects over the different colors. Of course, you get the most differences over black, but there are some interesting colors popping in the red, blue, and even fuchsia. 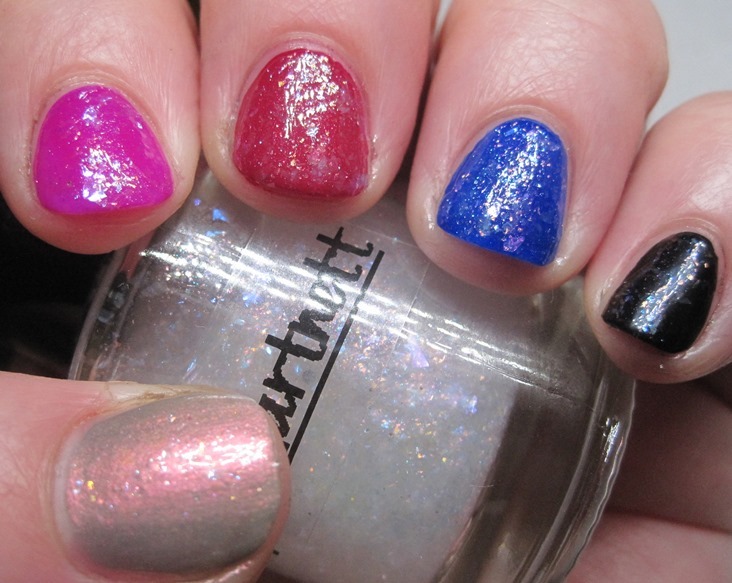 Does a charity link make a difference to you when you buy polish? I'm not a huge fan of bats, but after learning more about them, I like them more, I definitely can see how important they are in our ecosystem. Eat dem bugs! If you'd like more information about Ruby White Tips, you can find her on Facebook. If you're interested in Batworld, here's a link to her Batworld collection, and a link to the Batworld Sanctuary website. All the other Ruby White Tips polishes are also on her Etsy store. I am a bat lover, for sure! 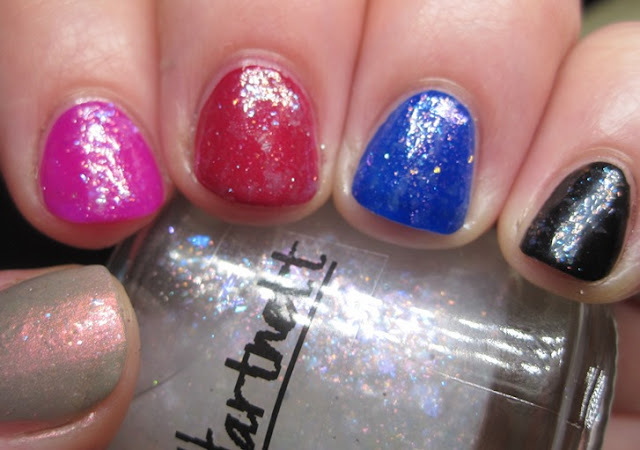 So, I am definitely going to look for these polishes. I like them both! Come and See.. more Tough As Nails! The Dregs? I don't think so! An Almost Famous Sugar Rush!